Topics: Bibliography, Three Choice Portal, Charles And Margaret, Glasgow School Of Art, and Tea Rooms. 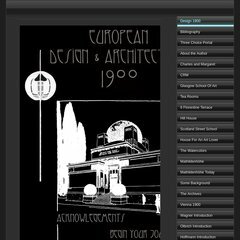 Design1900online.com's IP address is 216.239.139.23. It is hosted by Omnis Network Llc (California, Torrance,) using Apache/2 web server. Its 2 nameservers are ns2.oakdns.net, and ns1.oakdns.net. PING www. (216.239.139.23) 56(84) bytes of data.